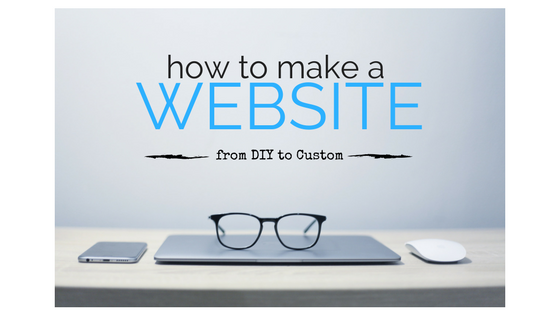 Ever wonder how to make a website? When I wanted to launch a website, I went on Facebook and asked “Does anyone know how to create a website?” I was so confused. What is hosting? What is a theme? Is WordPress better than Squarespace? Should I blog? What is your monthly budget for making a website? How much work do you want to put into learning and creating a website? How custom do you want your website to be? Let’s start with the first question. Disclosure: This is not a paid or sponsored article. However, both Brighter Vision and Slapshot Studio are website design companies that we love so much, we invited them to be sponsors. We highlight their work, because we love their work but also try to give other options. But we want to be transparent about that relationship. Also, several of the links in this article are affiliate links. They help us monetize the website so we can keep doing what we are doing. Thanks in advance for using our affiliate links when you are ready to make your website. Your budget should be one of your first questions. 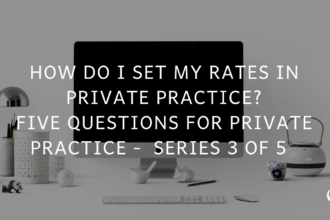 When you first start a private practice the goal is to keep costs down. In general, you want to try to bootstrap as much as you can and build sweat equity. With that said, if you have a budget for a well designed website, that’s one of the first places to put a little bit of money. How much will a website cost? How much money is coming in right now? 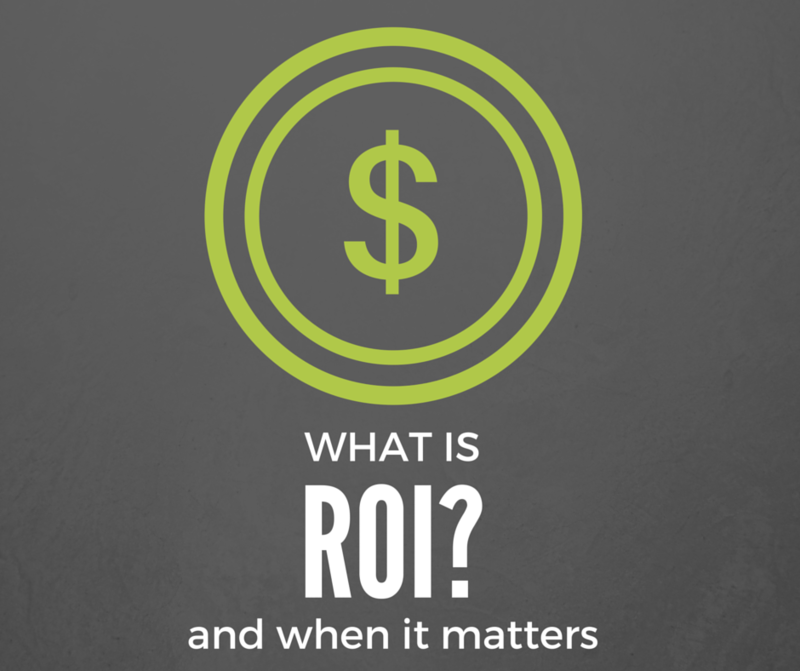 If you have a little bit of money coming in, reinvesting in a website is a wise move. If you truly don’t have the money, sign up for Psychology Today and try that free for a few months. Then come back to this article. What is a new client worth? If each client session is $100 and they come 6 times, they are “worth” $600. That means that if a well designed website gets you one more client and it cost less than $600, it’s kind of a no brainer. How much you will pay to make a website: There are several levels you can choose. Make your own website: For a website you create, it can be as low as $5-$18/month through Bluehost or Squarespace. With a WordPress theme install (I’ll talk later about what this is) that will add a one-time $200 fee or so ($260 or so annually). Have someone make your website: The next step up is a website with a monthly fee, that usually includes design and tech support, those are around $59/month ($708 annually or so). Have someone custom design your website: This will cost $1,000+ but you own the site and only pay for hosting afterward. How much work do you want to put into making a website? Do you have a background in websites? Do you enjoy learning about technology? When you pay someone to do something, do you want to understand most of the process? 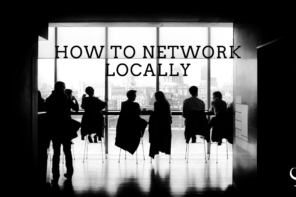 Do you have extra time to learn, get frustrated, try, and tweak your website? Are friends willing to help you start a website? Do you want to learn how to make a website? If you answered “yes” to some of these questions about how to launch a website, then creating a website from scratch to learn the process might be for you. But, if you hesitate, it might be better to outsource this one to the professionals. It’s sort of like dry wall, do you want to learn to do it and then maybe have to redo it or just hire it out? The last major question you should ask before you make a website is: “How custom do you want your website to be?” This really is more of a design decision. 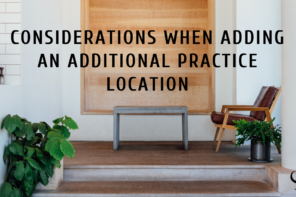 If you look at other private practice websites and think “they all look the same” then a custom website might be best for you. But, if you evaluate your community and think, “It’s not going to take much to outdo that!” then maybe you don’t need to worry about a custom website as much. Hosting: Where your website information is stored I recommend Bluehost ($4-$5/month) or if you want a really fast/secure host, LiquidWeb ($89/month). Squarespace: A turnkey solution for websites, great if you don’t plan to upgrade. Theme: This is the overall flow/design of your website. It is more specific to WordPress-based websites. URL: This is your website address, the “www.____.com” it’s included most hosting packages. Sign up for hosting: Bluehost is the easiest, so I’d recommend them. Click here to set up hosting. *To save you a ton of time, I’d recommend that you purchase a theme that you like on Mojo or Themeforest and have them install it. It’ll save you a ton of time. Here’s a how to make a website walk-through I made. The video is around 7 minutes and the actual time will take 10 minutes or so. You’ll need your business information, business credit card, URL name idea, and a bunch of excitement! Please click here to start. If you need additional help with WordPress installation, check out my WordPress Installation: Step-by-Step Guide. Another option is Squarespace, but because it is less changeable, it is not my preference. The two biggest decisions regarding having someone build your website is regards to how custom you want it. Also, will you want on-going tech support. The two leading website builders for private practices are Therapy Sites and Brighter Vision. Both are around $59/month depending on deals they have going on. Both have tech support, hosting, and a variety of other things included. The biggest difference is that Brighter Vision has much better customer support and much hipper designs! Here’s more about them. The Therapist Experience, Perry’s podcast series about therapists in private practice. Slap Shot Studio: Jaime Jay is one of the nicest podcasters I know. We’ve done several show swaps and his design is excellent. Here’s more of his portfolio as you create a website. Slap Shot Studio. Why someone needs a website: Therapists need websites because we are increasingly using the internet for connection. Websites can help you get found, be there emotionally for your website visitors, provide helpful content, build relationships, grow a global audience, and serve your current clients with information too. What they do wrong: There are a lot of ways that therapists could improve their websites. One mistake I often see is not considering a website visitors journey through your site, a journey that ought to lead to a clear invitation for a website visitor to take that next step. In website strategy speak, we call that invitation a call to action and that call to action should be reaching out in some way, so an appointment, a consult call, or maybe scheduling in a scheduler could be that invitation. Design tip: A design tip that I would share with any therapist is to do less but do it better. Websites easily become busy and confusing when they really don’t have to be. Starting with the empathy you feel for your best fit clients, put yourself in their shoes. If they are stressed, anxious, or even in a crisis when visiting your website, what does your website need to look like to truly help them feel seen, heard, and meet them where they are? (Perhaps you don’t need those huge social share buttons persistently on every page). Why someone needs a website, what they do wrong, design tip: You need a website to connect and to show how much you care. Part of that caring is using the empathy you have with your best fit client to direct your design and structure decisions. The questions you should always be asking is, “how can I make this website experience effortless for my visitor?” and “how can I help them feel hopeful?” When using questions like these as a guide, you won’t go astray. 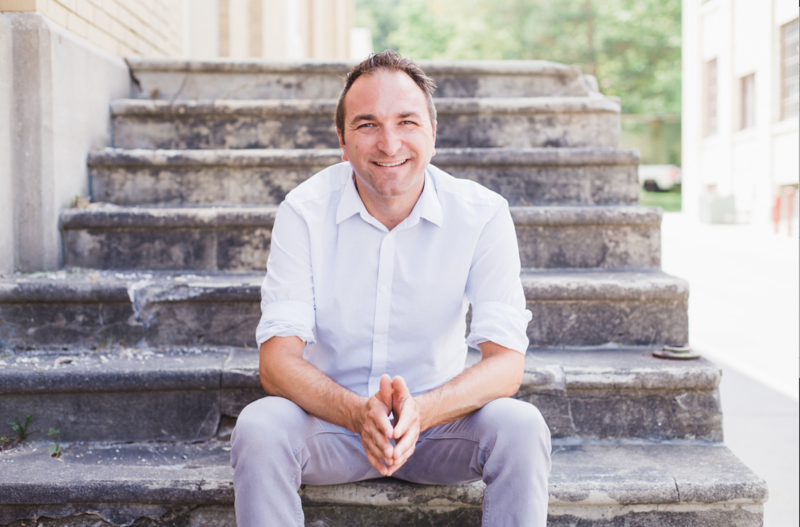 Create My Therapist Website: Daniel Fava makes some great websites and also helps train you to launch your own, here’s more about him. 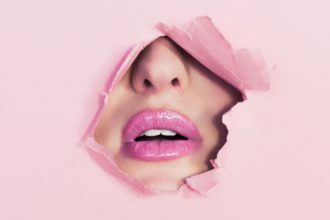 After the website is up, you’ll have a few more things to cover like logos, blogging, and attracting your ideal client. But for now, let’s get this website launched! 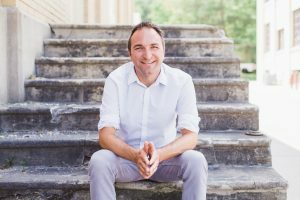 Joe Sanok is a licensed counselor and owner of the Traverse City counseling practice, Mental Wellness Counseling. He is a consultant, blogger, and podcaster who has been in Forbes, Reader’s Digest, Huffington Post, PsychCentral, and a bunch of podcasts. To apply to work with him, click here. Ready To Be Inspired? Watch This! We’ve all experienced fear on some level. While some experience a fear of death, others experience a fear of social situations, or public speaking….